As you know, we produce some hay as part of our yearly crop, and in the winter, when horses and sheep and goats have no grass left to eat, hay is fed in lieu of pasture grass. Hay comes in a few different sizes when sold for easier transport. It comes in large round bales, large square bales, and small square bales. 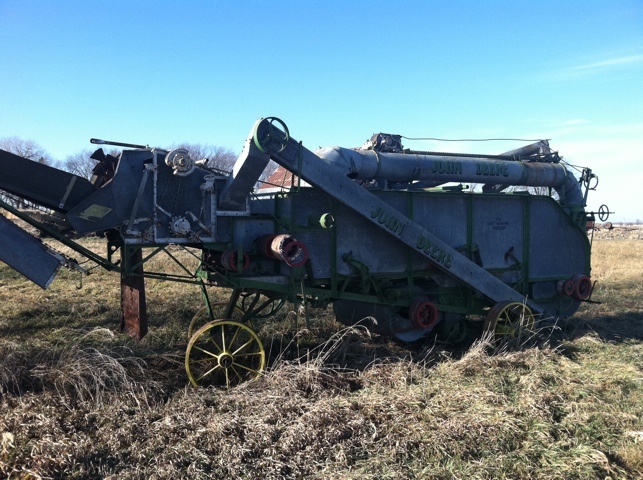 It also comes in many different consistencies, such as grass hay, grass/alfalfa hay, and straight alfalfa. 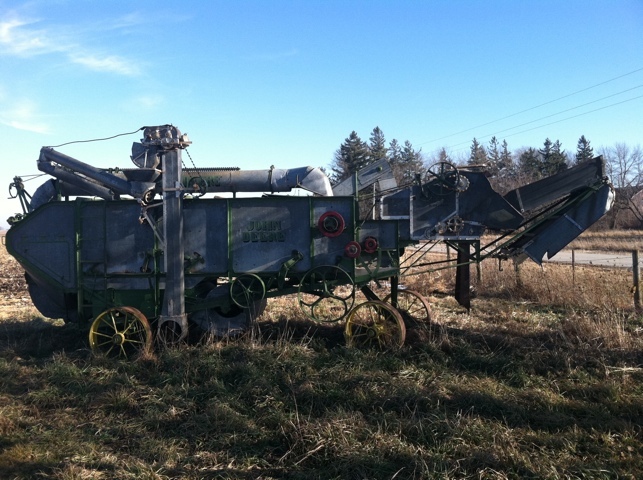 And alfalfa itself comes in many different potencies, depending on how well seeded it was, what year it was seeded, and what cutting was brought to the sale. Some years, hay farmers can get four really good cuttings of hay in the summer between frosts. This past summer, many grass and alfalfa growing states were in a drought, so there was less of a quantity of hay as well as a decrease in quality hay. For farmers who produce hay, this could be a good thing if they solely sell it for profit. An area shortage of hay can lead to higher prices and that was what we were hoping for when we brought some hay to an auction yesterday. What we found was not a shortage of hay at all! The auctioneer said it was the most hay he’d seen in a while. It could have been because the weather was so nice yesterday and it was a good day to travel with loads of hay, or it could have been that our area had more rain than other areas and produced more. Anyway, there looked like there were more sellers than buyers and we were a bit concerned of what the outcome in price might be. It turned out that all the hay got sold, but some toward the end of the sale brought some pretty low prices: $2.50/small square bale of grass/alfalfa mix hay 3rd or 4th cutting and $55/large square bale of similar quality. A good price right now for quality hay is $4.50/small square bale and $70/large square bale. And an excellent price, if there was a shortage, would be in the area of $6.50 and $80-90! All in all, we sold our hay at a good price and found an interested buyer of more hay in the future who lives nearby: a horse person! Hay producers love the horse people…and the hobby farmer people, because they love their animals as pets and will pay a good price for good hay when they find it. 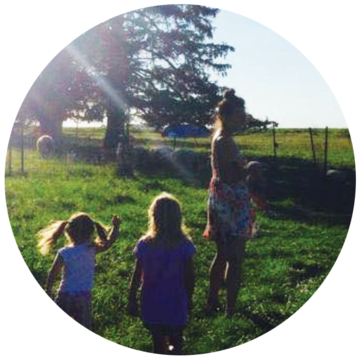 Near our farm is a historical acreage of an old farm house, barns, sheds, country school, drug store and farm machinery and contraptions. Every Labor Day weekend, they have a 3-day show of how people in the rural areas lived and farmed. 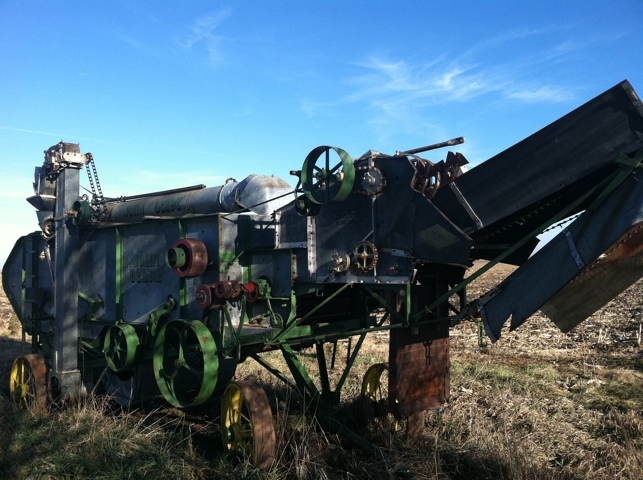 It’s called the Cedar Valley Annual Thresher’s Reunion. During the winter months, grain farmers educate ourselves on new innovations, marketing strategies, how to get better yields, and attend networking events. 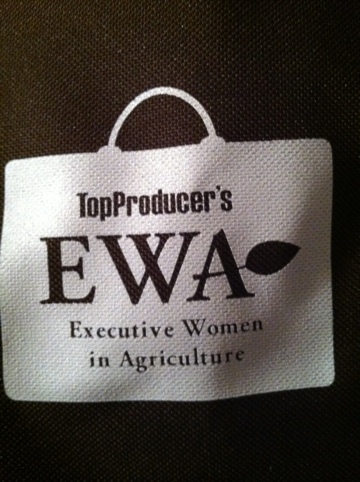 One such event that I recently attended was the Executive Women in Agriculture Conference in Chicago. It was really amazing, you know why? Not only did I listen to some knowledgable women who work in ag, but I met women doers of ag, women like me, who are hands on farmers, who are daughters of farmers and are becoming the next executives of their business. These women came from Washington state, Idaho, North Carolina, Alabama, and as well as all over the Midwest. it was a place that women could ask the questions in a nonjudgmental arena, learn from from their peers and from women professionals. Top Producer, an Ag based magazine, hosted the 2-day conference along with several sponsors related to Ag. The conference was based on educating women on farm business practices designed for women farm managers and marketers. Marketing strategies were emphasized in many of the sessions. Women senior marketing analysts came from the East, West and Midwest to teach us marketing in a way that was easy to understand. Marketing commodities involves risk, and it all depends on how comfortable you are with risk. The more risk you take, the more you can gain…but on the flip side, the more you can lose. We learned all about options, calls, puts, HTAs (hedge to arrive) and ways to navigate through all of the volatility in the markets. It was fascinating and very exciting! I highly recommend this conference for any woman involved in agriculture. Educating yourself in an ever changing field like farming is necessary to be successful. Knowledge is power.